When out playing sports, any mouthguard is better than nothing. But a good custom mouthguard can make the difference between losing a front tooth and never having a problem at all. A mouthguard acts to absorb and spread a facial impact which might otherwise result in an injury to the mouth, teeth or jaws. 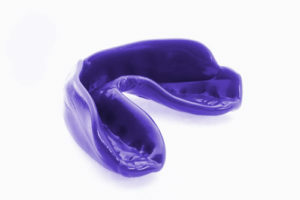 Remember that the cost of an injury to your teeth or jaw will far outweigh the cost of a custom fitted mouthguard.